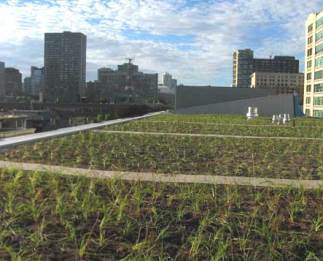 While significant progress has been made in the areas of green roof research and policy development in the GTA, building owners remain reluctant to build green roofs. This reluctance is in part due to concerns that green roofs require higher capital and maintenance costs than conventional roofs, without the demonstration of offsetting benefits to the proponent. Previous research in Toronto focused on quantifying the public value of green roofs without specifically addressing he financial costs and savings to building owners. This study helps to fill this knowledge gap by estimating the dollar value costs and savings associated with building and owning a green roof in the GTA. Costs related to structural modifications, materials and labour for installation, and long-term maintenance are discussed for both new and retrofit installations. Sources of cost and savings data include published research, product supplier quotations and surveys of green roof owners. The data obtained from these sources were used to calculate the life cycle costs (LCC) of green and conventional roofs through the use of a tool developed by the Athena Sustainable Materials Institute (ASMI). For more information about this study, download the fact sheet and report from the sidebar.